There seem to be two sides to questions about role-playing games and kids. The first one is more about parents – how do you convince them that RPGs are a fun, engaging hobby rather than a life-sucking obsession? The second point is a technical one, really. How can you run the game itself in such a way that your sessions stay appropriate for the age group you are playing with? Here I’ve included a series of tips that address both questions. Most of these ideas come from my experiences dealing with gamers, ages 12-18, (and their parents), at the Role-Playing Games Club I run at my school. I hope they are helpful to you! 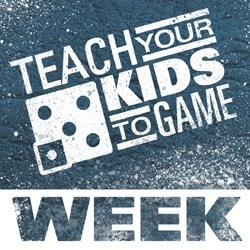 Parents will be much more comfortable about having kids involved in playing RPGs if the group/club has the official support of an organization like a school or library. Parents will also be happier with a group that has documentation of club rules and expectations, especially if they are asked to sign a permission slip. Anything you can do to set the group up professionally will help to assuage parent nervousness. If you’re going to be running a game for your own kids and a few of their friends, you may not need to be so formal about it. But make sure you talk to the other children’s parents so that they know what you’re planning, where you’ll be meeting, and what it’s all about before you get started. The best advice I can give for reassuring concerned parents is this: invite them to come and watch a session! Most people fear what they don’t understand, and let’s face it, trying to explain exactly what an RPG is or how it works tends to get even the brightest of us tongue-tied. Letting parents see the game in action, and most importantly, how much fun the kids are having while they play, makes parents’ worries melt like snow. The second part of “keeping it open” is this: if you want to make sure parents stay comfortable with RPGs, you have to make sure that everything about the game is always open. Play in a public place. Invite guests to stop by regularly. Anybody wants to see your books? Character sheets? Your answer is always yes. You and your group have absolutely nothing to hide. So don’t worry about it. And who knows – you might even end up recruiting some new gamers! Sometimes, the type of game you’re playing can make all the difference. 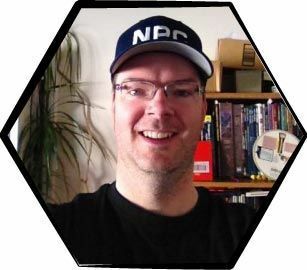 If people in your surroundings are resistant to Dungeons and Dragons (and it happens, unfortunately) you can try introducing the Lord of the Rings RPG, or the Star Wars d20 system. Also, superhero games (like the Marvel Comics RPG) can be more successful with parents initially. One of the main selling points of table-top role playing to parents is that it is a social activity. Often, kids who would be interested in pencil-and-paper RPGs are already playing RPGs at home, alone, on the computer. When parents compare 4 hours around a gaming table with friends to 4 hours alone behind a computer screen, many of them become converts rather quickly. Before you start defending RPGs, make sure you understand what the parent’s concerns actually are. Sometimes you can make things worse by jumping the gun. Try open-ended statements like, “So you’re not sure this is a good idea for your child…” Or, “Can you tell me what it is about RPGs that is concerning you?” You might be surprised to find out that the conflict is actually Johnny’s tennis lessons, which are at the same time as your game sessions! Once you have figured out exactly what the parent is worried about, you can address that issue. Did you know that both Vin Diesel and Terry Pratchett have talked about their role-playing past? Or that role-playing clubs in Sweden can get government funding? Do you know the source of the most persistent urban legends that have given Dungeons and Dragons (especially) a bad name? Why have this kind of information on file? So that if someone does approach you with questions like, “But aren’t role-players usually antisocial criminals?” you will kindly and gently be able to produce evidence that this is not, in fact, the case. Dealing with these apparently biased, uninformed fears can sometimes be frustrating. But here’s a word of advice: remember that no matter how ridiculous it may seem, the parent talking to you about this topic is truly concerned. Take them seriously, treat their fears with respect, and give them the facts to combat their worries. Dealing with them in this way is the most effective way I’ve found for turning parents into RPG allies! When younger kids are playing RPGs on their own in a home setting, you have to face up to the fact that it’s impossible to exercise any direct control over the content of the games, unless you sit with the kids as they play for every second of game time. And since part of the appeal of RPGs for kids is the idea: “You can do anything you can imagine!” I wouldn’t suggest trying to put that kind of control on gaming sessions. To be honest, however, my experience with student-run games is that they tend to regulate themselves, when all the players are about the same age, and that you don’t even need to be that specific about what the guidelines are. Kids on their own are much more likely to say to each other, “Hey, knock that off, you’re just being stupid/gross/annoying,” if someone does something that they feel goes too far. If you’re really concerned, and don’t feel the “adult could walk in” test is going to be enough control, use food bribery to keep the game in a public area: set up a great gaming center at the kitchen table, fill the counter with snacks, and hang around for a session or two to see how things go. Just try not to be offended by the large amount of situations involving extended flatulence or other bodily functions. That said, I’d like to add a few tips for adults trying to run a fun and appropriate game for kids. Make sure the games you are choosing are appropriate for kids. D&D, for example, will give you little trouble. Running a child-appropriate adventure in a horror game or even a cyberpunk world, on the other hand, is going to be very, very difficult. Make it easy on yourself, and stick with traditional fantasy, science fiction, or superhero scenarios. Before you even begin to run a game, you need to make sure that everyone understands what the expectations are. In our club, one of the house rules is that no one may play an evil character. Period. No matter how awesome those Dark Jedi powers are. There is absolutely nothing wrong with agreeing as a group that you are going to keep your game “PG” rated. You could even agree as a group to use a catchphrase, like “PG”, which anyone in the group could call out when things are getting out of hand. Then, go with the old “feeder-bar” system of behavior modification. Reward appropriate role-playing (with compliments, laughter, in-game rewards like cool weapons or spells and the best gaming motivation of all, XP!) and punish inappropriate role-playing (most effectively handled with out-of-game comments.) If you continue to react consistently to your players, it will only take a few sessions before you’ve ironed out the “appropriateness” problem completely. If you have a player who can’t take the hints you’re dropping, and even your group’s agreements like using the catchphrase aren’t making a dent in their inappropriate behavior, take them apart from the group, warn them seriously, and then eject them from the game if they continue. Our players sign a contract that states that they can be asked to leave the club if their behavior prevents other members from having fun. The bottom line is: You are the boss. If players can’t agree with your rules, then they don’t play in your group. There is no discussion. This might seem like an odd one, but (especially from a parent’s point of view) there is a big difference between having characters chase and kill a beholder or a group of marauding orcs than getting them involved in any situation where they must fight and kill people. Give your players lots of creepy crawlies to battle, and when they come into contact with other people, give them other options instead of battle – information trades, etc. Look, sometimes the evil wizard is a human, and of course, there’s nothing wrong with your players battling him, as one of a series of encounters. But getting a group of young players involved in a palace intrigue situation with assassins and Machiavellian factions working on wiping each other off the face of the earth is going to make it very difficult for you to keep your game appropriate. Go for the gelatinous cubes instead. Every game master’s guide has the tip that you should spice up your combat by describing the scene vividly for your players. I completely agree, and it’s very possible to do that in an appropriate-for-children game session. Just remember that the only color in your description doesn’t have to be red. In other words, feel free to describe combat in exciting ways – but leave out the spouting blood, spattering innards, and other oh-so-graphic moments you might find in a really intense bout of Mortal Kombat. Feel like this can’t work? Go watch an animated movie. (A great example is Shrek.) These movies are full of suspenseful chase scenes, fights, and competitions…and are able to do it in ways that raise the excitement without raising the brutal damage quotient. An orc, pin wheeling his arms on the edge of a deep chasm and finally going over because of a well-aimed crossbow bolt is a colorful, exciting, appropriate combat image. And don’t forget the use of humor to add fun to a combat session. Armor getting stuck at unhelpful moments, fellow players dangling upside down from the tentacles of an otyugh as all their possessions drop out of their pouches and pockets, or the result of a very effective “lightning bolt” spell being that all combatants are now suffering from super-static hair that is standing up on end; just a few examples of using humor to make combat memorable without crossing the “PG” boundary. Help! My Players Have Hit Puberty! In essence, this situation is no different than a player displaying any sort of inappropriate role-playing, and I’d suggest dealing with it in-game, by using the same reward and punishment system I described above. Characters getting knocked on the head by insulted NPC’s will quickly mend their ways, especially when said NPC turns out to be the Captain of the City Guard. Any players not getting the message can be dealt with out-of-game. Remember, the group goal is fun and comfort for all. Anyone ruining that for the others shouldn’t be there. Role-playing is a great hobby that kids love and enjoy. I started playing when I was 13 years old, and the first thing I did was teach my (then 10 and 7 year old) brothers how to play so we could game at home. If your kids are running games for each other or their friends, don’t worry…chances are, they’re much more concerned about how they can maximize their characters’ abilities than about playing games adults would consider really inappropriate. Encouraging them to play in a public place and letting them know that you will be in the background while they’re playing are both effective ways of keeping closer tabs on things. If you are running games for kids, laying down a few basic ground rules and choosing smart game worlds and adventure seeds will help you keep your games fun and appropriate. And remember, setting up your group as professionally and openly as possible will go a long way toward convincing parents that role-playing is a legitimate hobby that helps kids develop critical thinking, social and problem-solving skills. Not to mention – it’s just so much fun!